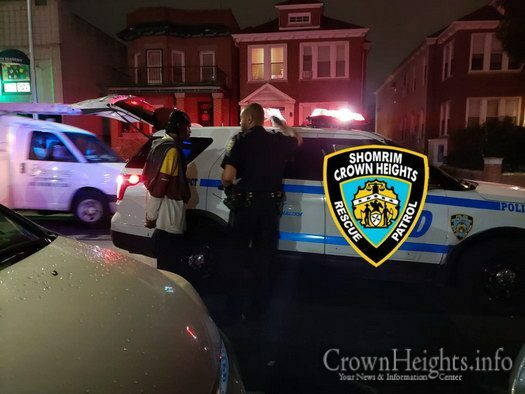 Sharp eyed Shomrim volunteers assisted the police in apprehending a thief who stole a package from the porch of a Crown Street home. He was arrested as he was tearing open the package to inspect his loot. 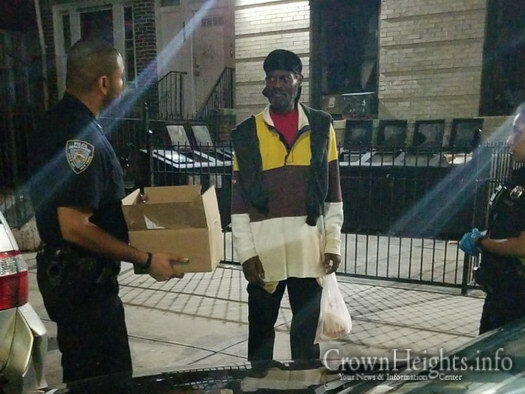 This clever porch pirate’s ingenuity didn’t stop police from arresting him, thanks to the efforts of the volunteers from Crown Heights Shomrim. Shomrim was first alerted to the suspect by a resident who sent them a video showing a man walking up onto the porch of a Union Street home, apparently in search of packages, then leaving empty handed. Upon receiving the video Shomrim volunteers spread out in the area in search of the person. Their efforts were quickly rewarded when he was spotted on Crown Street. Shomrim didn’t have to wait long before the suspect went up the stairs of another home and quickly stole a package and fled towards Utica Avenue. Keeping an eye on the man, Shomrim called police who arrived quickly and took the man into custody. In an attempt to claim the package was his own, the suspect tore off the shipping label which contains the name of the true recipient. Shomrim located the torn label at the house from where it was stolen and tracked down its true owner. Police then placed the suspect under arrest and returned the property to its rightful owner. Not an okay comment. Should not even be allowed on this site. Filthbag trash thief. Lock him up. He stole my package on Montgomery st a couple of days ago as well!